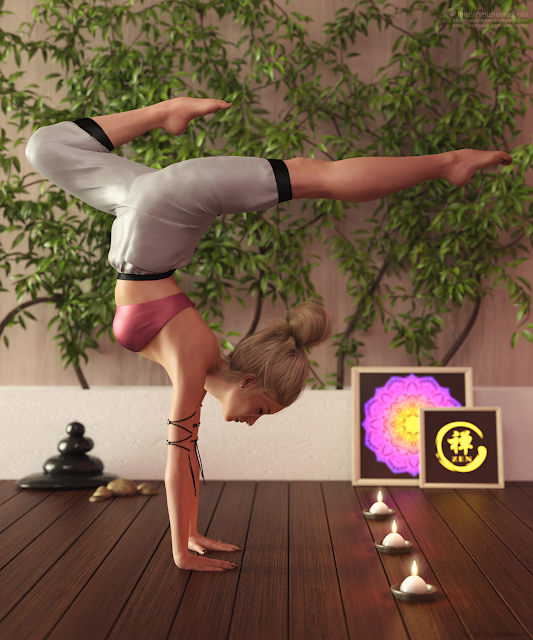 Image originally created for Elite Models 3D as a promotional showcase for Aura Zen poses by Fabiana and Lucila, available at Renderosity marketplace :) Hope you like. Rendered using custom HDRI lighting and photometric lights in Iray. Backdrop is external model converted to Daz Studio prop, shorts created and draped with Marvelous Designer. Minimum edits in GIMP and Inkscape.